Jump to video Roberts is in — now who's next? John Roberts is sworn in as the 17th chief justice of the United States by Supreme Court Justice John Paul Stevens at the White House Thursday. 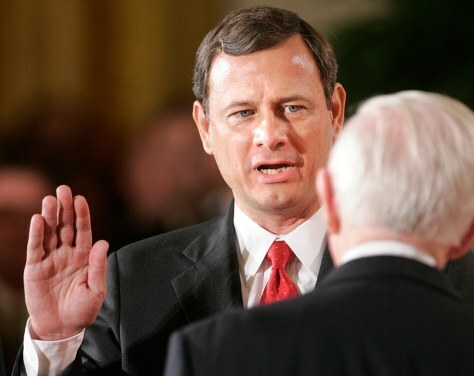 Roberts is the youngest chief justice in 200 years.